We sell Moog 744F003 Series servo proportional valves. We can either sell new valves or rebuilt valves. We have 5 new Moog 744F-003 Series Servo Proportional Valves on the shelf in boxes and ready to ship. These valves come with Moog documentation. The valves are brand new and still shine brightly. These are the equivalent to the Abex 450-1180. Fill out the form at the bottom of the page for a quotation! 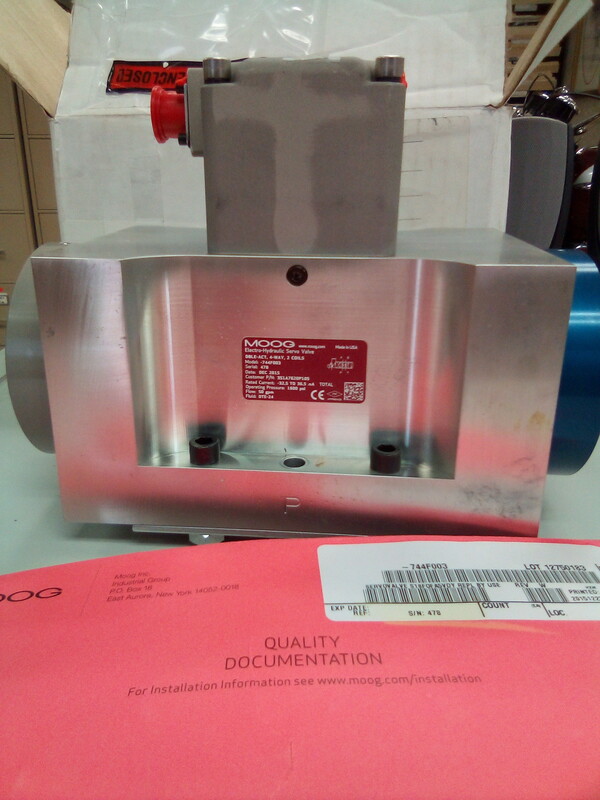 We repair the Moog 744F-003 servo proportional valve as well. Our repair cost varies on what needs to be done and how long it will take. Our standard repair time is in 5 days. We ship on your shipper and have the ability to overnight things. We carry a 1-year warranty on these valves for both repair and sales.